ONI Bureau: The Indian Space Research Organisation (ISRO) on Friday announced the Young Scientist programme to encourage the scientific talent and increase scientific pool in the country. 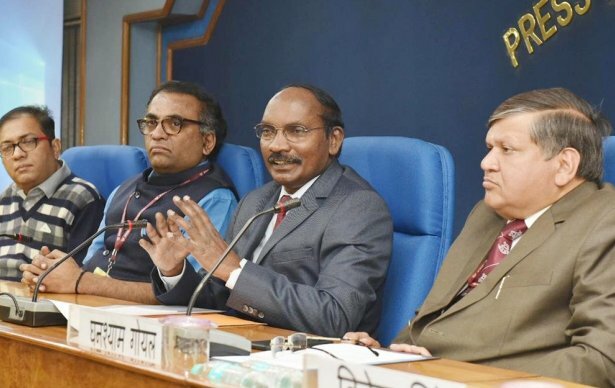 ISRO Chief K Sivan in a press conference today announced that the space agency will develop six incubation centres in various parts of the country including one in Odisha’s Rourkela. Under this programme, 3 students from each State and Union Territory will be selected for ISRO programme for one month during which they will visit ISRO centres, interact with senior scientists and will have access to Research and Development facilities. All the expenses of travelling and boarding will be borne by ISRO. Dr Sivan appealed to the State Governments and the state education departments for their active cooperation in making the programme a success. Speaking on the Gaganyaan, Dr Sivan said that first unmanned space flight will be launched by December 2020, second unmanned mission by July 2021 and first manned mission by December 2021.